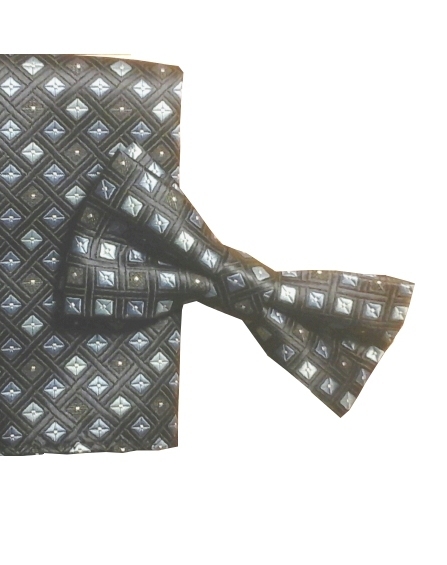 Navy blue with light blue squares older boys matte poly-satin bow tie and matching hanky. This handsome bow tie measures 4.5 inches long by 2 inches wide for ages 4 - 14 years approximately. Comes boxed and makes a nice gift. From Fouger For Kids.